Can building telematics infrastructure be easy? flespi registry supplies agile storage, versatile connectivity, and universal tracker configuration tool for all types of telematics-reliant projects. What makes constructing an infrastructure tough? It’s putting all the separate components together and arranging them to play the symphony in tune. So, why do we rarely hear a melodic peace? We’ve been in the industry for 15 years and know all the ins and outs, which allowed us to implement our vision of better telematics in the flespi platform. We aimed to address the pains of telematics professionals that distract them from their core duties. In this post, we want to highlight the key functionality of the flespi registry module and what specific tasks it can address best. Channels aggregate messages from tracking devices operating over the same protocol. If you need to stream this data to a third-party platform you use as is, you are good to go. 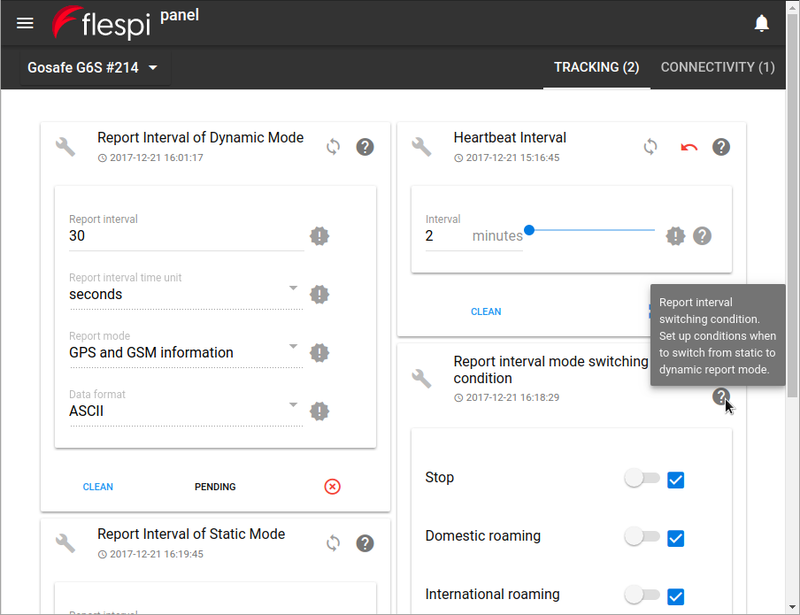 However, if you want to split the incoming messages by device, flespi devices will help you take care of that. A flespi device is a dedicated message buffer managing the data for a particular physical tracking device inside the flespi platform.The most important parameter for the new flespi deviсe is an ident (the unique identifier of a respective physical tracker), which differentiates the messages from the target device from all the rest. 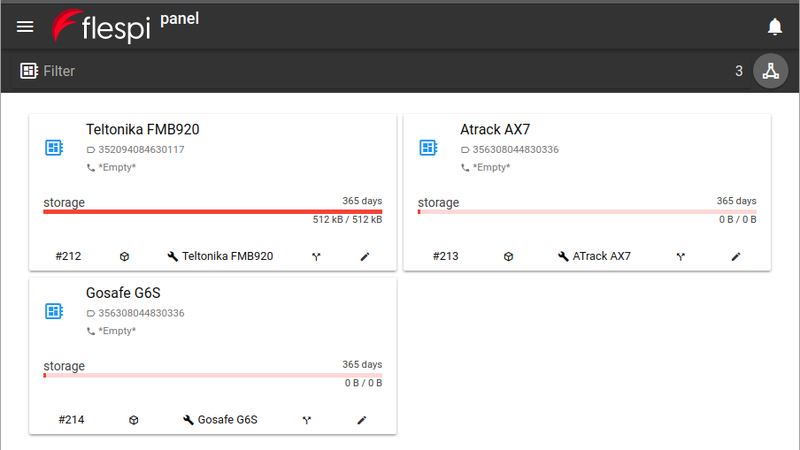 provide the latest state of all tracker settings whether online or offline through the telemetry parameter. Remember, one of the major restraints in building an infrastructure was connectivity over several protocols and across communication layers? Streams are all about delivering your telematics data to the destination of your choice taking away the worries about compatibility. Streams subscribe to entire channels or discrete devices to form the desired data flow and direct it over the selected protocol to the client software. If need be, you can subscribe several streams to the same channel (or devices) to forward the data to multiple destinations expecting input over different protocols. Even though subscribing a stream is rather intuitive — you open the stream, click the subscribe button and pick what you want to subscribe it to — we’ve gone even further and made this process visual. The Graph left menu item shows the entire picture of your infrastructure — channels, streams, and devices. 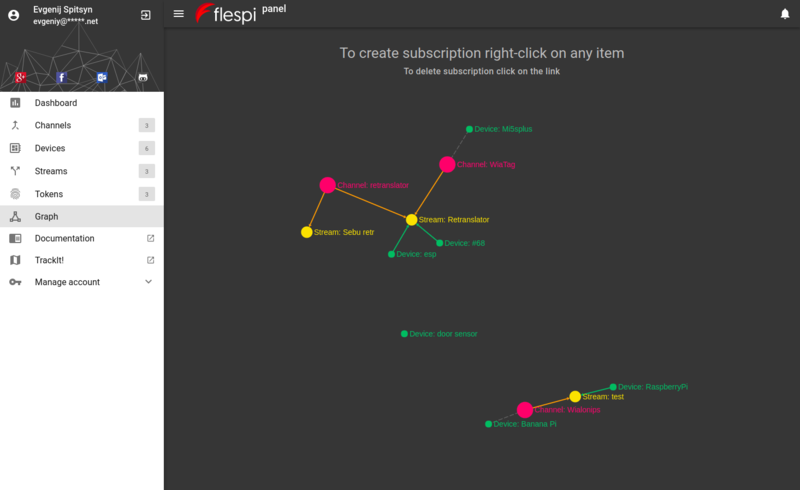 Interactive tips above the graph guide you through the subscription process, which only includes mouse clicks. 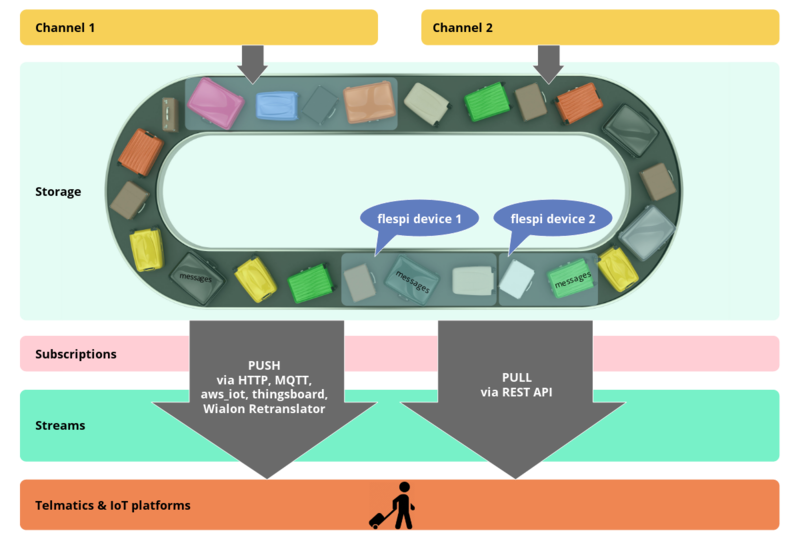 Streams enable the flespi platform to work in two modes: PULL — flespi provides the data to the application upon request (via REST API), and PUSH — you set up the end platform to accept data and it just transits through flespi arriving at the destination instantly. make data available for pulling by the client applications or for pushing by the flespi platform into the applications on a regular basis. Universal device configurator is a humble life-changer that will redefine the way you set up tracking devices. It’s visual. It’s multi-protocol. It’s feature-rich. Some device manufacturers offer proprietary configuration tools. True. Some don’t. Also true. If your fleet carries trackers by several manufacturers, you face the hassle of configuring different devices in different tools (or without them). We relieve you from that. You pick a device, pick a setting to change, change it, and click Send. The setting will apply once the device goes online. Until then you can cancel the setting change. Also, you can select a transport type for a command — either via TCP or via SMS (if applicable). Note: It takes time to realize the full-scale support of each protocol in our configurator, so we’ve started from the most popular and demanded ones. But we promise to implement everything we have here. facilitate configuration via SMS by automatically coercing commands to the protocol-specific format. All in all, flespi registry module gives a lot of freedom and flexibility at the infrastructure setup phase as well as further down the line — during operations and maintenance. Break free — choose devices based on their suitability to your needs, not the capabilities of your software platforms. Slash the learning curve — master one configuration tool only and set up all devices from the same interface. Say “yes” to opportunities — need to feed your telematics data to a new analytics tool for better insights or just want to switch platforms — never again will compatibility issues affect your choices and decisions. Get the bugs out — a great variety of logs detailing the activity of every component in the system are at your service for convenient debugging. Plus even more powerful flespi toolbox. Spend wisely — save on development efforts, minimize setup costs, buy fewer apps, and direct your resources to address the pressing issues of your business. Businesses grow, transform, and experiment. flespi wants to be a partner to your business wherever you decide to head next. We empower you to take advantage of telematics rather than learn telematics. There’s no need to reinvent the wheel when there are people out there already building cars — just rely on the best-in-class.